Why Should You Choose goPure Naturals? Never any fake chemical ingredients like Parabens, Artificial Fragrances, Sulfates, Propylene Glycol, Coloring or anything of the sort. We stand behind our products completely with an Industry Leading 1 Year Money Back Guarantee. Our goal is to create the purest skin and hair care products on the planet to help you look you best - naturally! • Dramatically Improves Color Treated or Damaged Hair - Leaving it Silky Soft, Manageable and Beautiful! GoPure Naturals Argan Oil has so many wonderful uses! 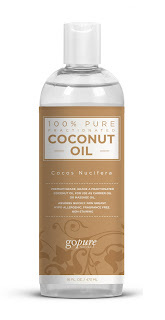 I have frizzy hair and GoPure Naturals Argan Oil helps to smooth my hair in an instant. I also suffer from an extremely dry scalp and this oil works to hydrate my scalp and get rid of any dry flaky skin. I love to use this oil on my face right out of the shower because it deeply hydrates my skin and leaves it radiant and beautiful. This is a wonderful product with many benefits! Heard about the benefits of Peppermint Oil on Dr. Oz? goPURE© Peppermint Essential Oil is Grade A Therapeutic and Food Grade which is the Highest Possible Purity and Quality of Peppermint Oil. If You Don't Feel that goPURE is the BEST Peppermint Oil you have ever tried We Will Give You a 100% Refund. • Helps to reduce stress, headaches and increase alertness. • Works as a Natural insect, spider and mice repellant around the house (Dabble around the house) - Also will keep the kitchen and home smelling fresh! • WE INCLUDE A PREMIUM QUALITY GLASS DROPPER - An easy way to take out your Peppermint Essential Oil and apply. • Therapeutic Grade - Grade A - We Proudly produce the highest quality and purity of Peppermint Essential Oil on the market. • Safely Packed - prepackaged in a safe thick box for safe shipping to your doorstep! OUR 100% SATISFACTION GUARANTEE:If you are unsatisfied for ANY reason we will gladly issue you a complete refund! I love this GoPure Naturals Peppermint Oil! You can tell this is a high quality product because the peppermint scent smells so pure and wonderful. I love adding this to my lotions to help sooth muscles. It also works great to releave headaches. • goPure organic Rosehip Oil is considered to be the highest quality and purity on the market and is used By Many DIY Skin Care and Hair Care Pros! • Very Fresh Rosehip Oil • Does not clog pores, hypo-allergenic, Absorbs Quickly and Doesn't Feel Oily! I love using this GoPure Naturals Organic Rosehip Oil to re-leave my dry itchy elbows. This oil works perfect to hydrate any dry itchy patches on the skin. I also love rubbing it on my dry cuticles as part of my at home manicure routine. It also works great on hair to repair damage and hydrate your scalp. Follow goPure Naturals on social media! 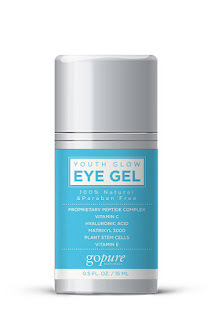 Check out my other GoPure Naturals Reviews!